Our friends at WebCodeTools have built this nifty little file name generator. 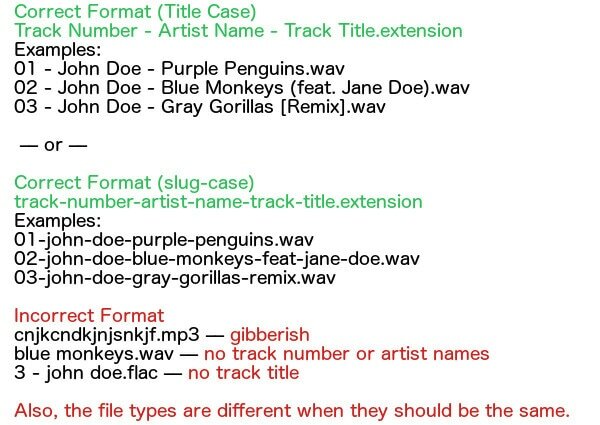 This will help you title your files correctly so that we can process your music for distribution much more easily. Click here to try it. If the page doesn't load then clear the cache in your browser.